More often than not when I work with men, a common theme that I run into with them is that they have tried hard to manage their problems by “not thinking about it.” This is a pretty common idea for guys, because hey, if we don’t have to think about stuff, then we don’t have to feel any of the other girly emotions, like fear or sadness. We can just be angry, because that’s really the only Emotion we’re supposed to feel, right? So when guys come to me, and tell me that this is how they’ve tried stuffing their problems, they are surprised when they tell me it doesn’t work. But why doesn’t it work? After all, thinking positively is the way to go, right? If you control your Thoughts, and choose not to think about stuff that hurts you, then it only makes sense to just stuff it so you don’t have to bother feeling that way. Sounds good in theory, but you know what I’ve found? That most of the time, when people do this, it turns into unresolved conflict. Sometimes that unresolved conflict turns into addiction, or other negative behaviors designed to keep the negative feelings at bay. You try so hard to stuff your emotions, that eventually you run out of room. 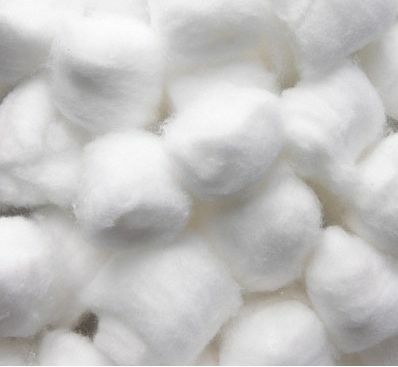 Its as if you have a soda bottle, and you start putting cotton balls in it. You figure, “What’s one cotton ball?”, right? So then you keep putting cotton balls in there, hoping that the bottle will continue to have room for them. But eventually, you run out of room, and now you have to figure out what to do with all those cotton balls, and the ones that are coming your way. So what can you do instead? Just a couple extra steps. 1. Decide if the issue in question is something you can change. If you can change it, great! Take initiative and do what you can to change it. Done deal. 2. If its something you can’t change, resolve that its OK that you can’t change it. Sometimes we have to let ourselves realize that we can’t change the world, and that really is OK.
3. Accept this resolution, and come to terms with it. Make the fact that you can’t change it part of your belief system. Its OK to resolve that the weather is beyond your control. Its OK to accept that you can’t control what your mother-in-law says to you about your soul patch. Accept this. Embrace it. 4. Once you’ve resolved these things, let it go. By letting the issue go, you effectively give yourself a way to let the stress of the issue loose, rather than hanging onto it, and bottling it in. This is how I teach people to process issues. It really is better than choosing not to think about it, and even though its just a few more steps in the mix, it makes a world of difference, merely due to the choices made. Does this sound like you? Let me know what you think. These are really useful tips. I think letting go is one very powerful attitude. It’s the fact that we can’t tolerate problems, failures, uncertainty that keeps our minds going back to our problems. Because of their emotional charge, they become lime magnets. You’re quite right when you say that our “intolerance of problems, failures, uncertainty that keeps our minds going back to our problems.” I think that is the malady of most who choose to stuff things rather than process them, and as a result, their problems remain and become larger. Thanks! Glad to see that you like my stuff!